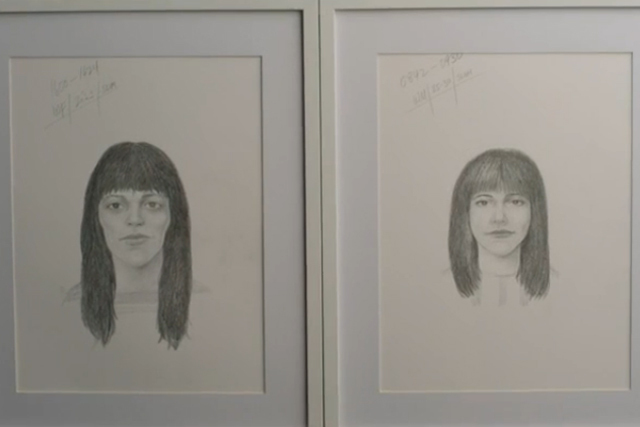 Dove's "real beauty sketches" by Ogilvy & Mather is this year's most-shared ad, with 4.24 million shares across Facebook, Twitter and blogs in 2013. Geico's "hump day" ad, which celebrates Wednesdays with a happy camel wishing office workers well, makes second place in the listings, complied by Unruly, having been shared 4.03 million times. Evian's "baby & me" ad, in which people are reflected as babies in a mirrored surface, was shared 3.34 million times and becomes the third most-shared ad this year. The ad was created by BETC Paris. With 1.82 million shares, this week's most-shared ad shoots into the top 20 of 2013. Volvo Trucks' "epic split", starring Jean Claude Van Damme, has risen through the rankings in the last week to become the tenth most-shared on the list. David Beckham, who stripped to his pants for H&M more than once this year, appears 17th in the chart in a short film for the fashion brand directed by Guy Ritchie. Beckham chases after a car leaving his home, losing clothes as he navigates the obstacle course of neighbouring gardens. Sony's swipe at the new XBox One, which is available to buy this week, also made it into the chart. The ad mimics an instructional video and takes a dig at a suggestion made earlier in the year that Microsoft was looking to close down the pre-owned games market. The online video promoting Sony's PlayStation 4, due to be released before Christmas, was shared 764,857 times in 2013. 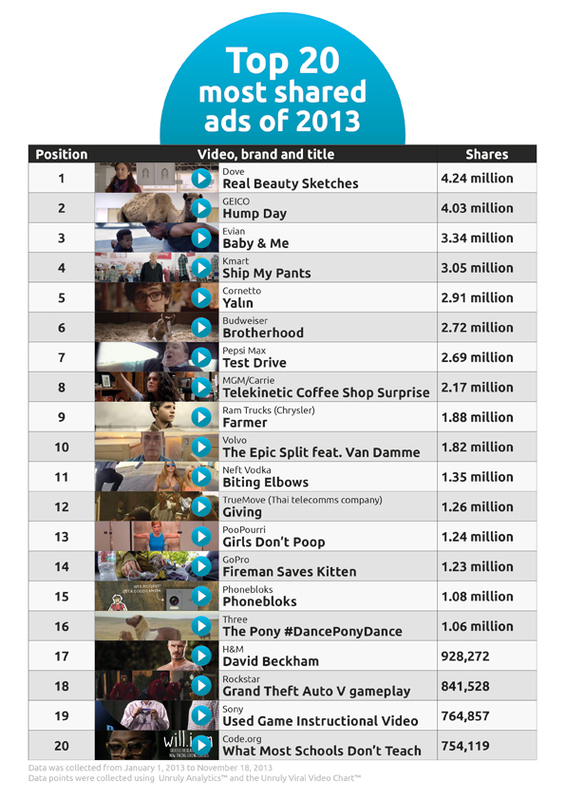 Three's "#danceponydance" spot by Wieden & Kennedy and an in-house ad from GoPro, which sees a fireman rescue a kitten from the wreckage of a house fire also made the most-shared listing.